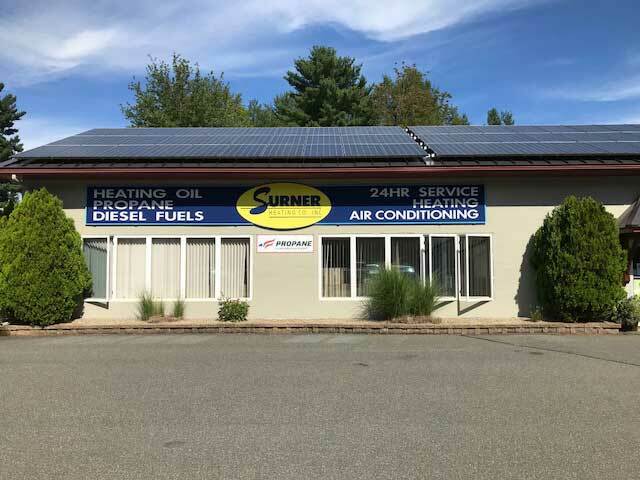 Since 1963, the Surner family has been providing quality fuels and service as well as energy-conservation products to cities and towns in Hampshire and Franklin Counties. The company began as College Oil Company on September 3, 1963 when founder Ben Surner made his first delivery in a 1946 GMC oil truck he had purchased earlier that summer. At first the business was operated out of a gas station and repair shop he rented with life-long business partner Steven Fellers. As time went on, Steve and Ben would part ways when it came to the oil company, but would team up on other energy conservation oriented companies including insulation and energy-efficient window manufacturing firms. The oil business grew, and in 1968 Ben built the current home of Surner Heating across the street from its initial location. A common theme throughout the years at Surner Heating has been conservation. Ben was at the forefront of early energy conservation in the area of heating systems in the late 1960s and early 1970s. He designed heating systems with outdoor thermostats, replaced boilers and matched them to the house’s heat loss rather than replacing a gigantic oversized boiler with another equally oversized one. This all began at a time when oil was selling for 20-30 cents a gallon, and conserving energy was not on everyone’s mind. Although not currently involved in the daily operation of the company, Ben still plays a very active role in the acquisition of oil for our 2.5 million gallon storage facilities in Springfield. In 1991 the next generation took over; Bruce Montague and Susan Surner took over daily operations of Surner Heating, and Ben’s son Scott Surner joined the team full time in 1999. The company has continued its growth over the years. 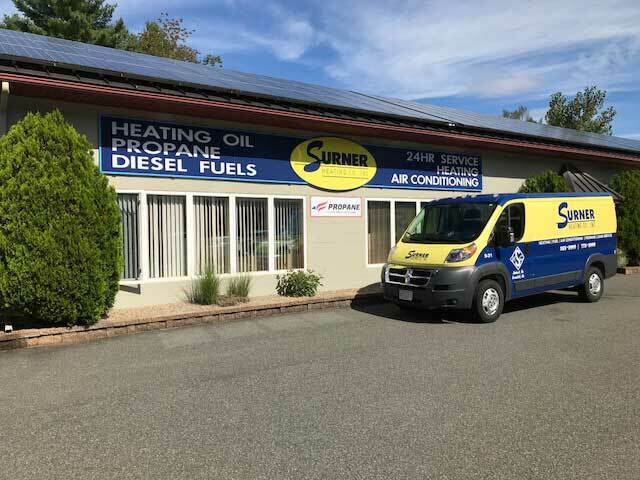 In 2009 Surner Heating expanded our service to Franklin County towns by purchasing our second office and fuel storage location on Montague City Road in Greenfield. In 2013 Surner Heating began offering propane deliveries and service. In 2015 we constructed our bulk propane facility with 2 – 30,000 underground propane storage tanks to ensure a plentiful supply of propane for peace of mind and security for the customers we serve.